by Fred Halliday Author · Stephen Howe Author of introduction, etc. 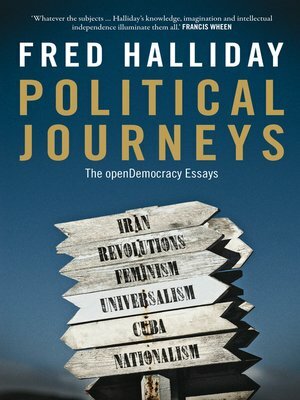 Fred Halliday always combined the broad sweep of modern history, its currents and ideas, with a profound knowledge of modern revolutions, the Middle East, and national movements. This collection of columns written for openDemocracy between 2004 and 2009 is proof of a subtle worldview that continues to generate questions: what is the relation between religion, nationalism, and progress? Is a new international order possible? When is intervention a force for progress? From the big headline topics like the Iraq War or the Danish cartoons, to the unexpected comparisons of Tibet and Palestine, or Afghanistan and the Falklands, Halliday is a perennially surprising and enlightened guide to the major issues of international politics. Fred Halliday (19462010) was a leading authority on superpower relations, the Middle East, and international relations theory. He was professor emeritus of international relations at the London School of Economics from 1985 to 2008 and a research professor at the Barcelona Institute for International Studies.